René Préval and Elisabeth Débrosse Delatour married on Sunday, December 6, 2009. The wedding was held at Delatour's home in Furcy Haiti. Elisabeth Delatour is the widow of Leslie Delatour, the former Governor of the Bank of the Republic of Haiti, the Haiti central bank. 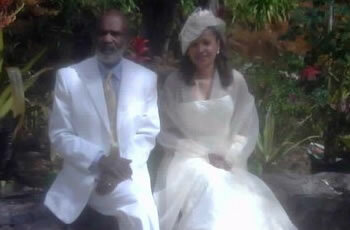 Preval Just Got Married, Haiti Has A New First Lady!